Can oats taste like rice? The folks who sell Cavena Nuda seem to think so. Cavena Nuda is a Canadian innovation: a new hull-less form of oats. The oat grows with the hull, but it falls off much more easily than standard oats. Regular oats need to be heated and milled until they can be de-hulled. As such, they are more environmentally sound and nutritionally superior to regular oats. After Angela tried them, it took me a while to find them but I eventually located it at Ambrosia and later at Bulk Barn. They don’t taste like oats, though. Cavena nuda is the complete oat kernel, so while they are in the shape of rice, they remind me more of farro or oblong wheat berries than rice per se. That didn’t stop me from trying to cook it into a risotto-style dish, though. Lacking rice and cheese, I am hard pressed to call this a risotto but it is a nice meal. 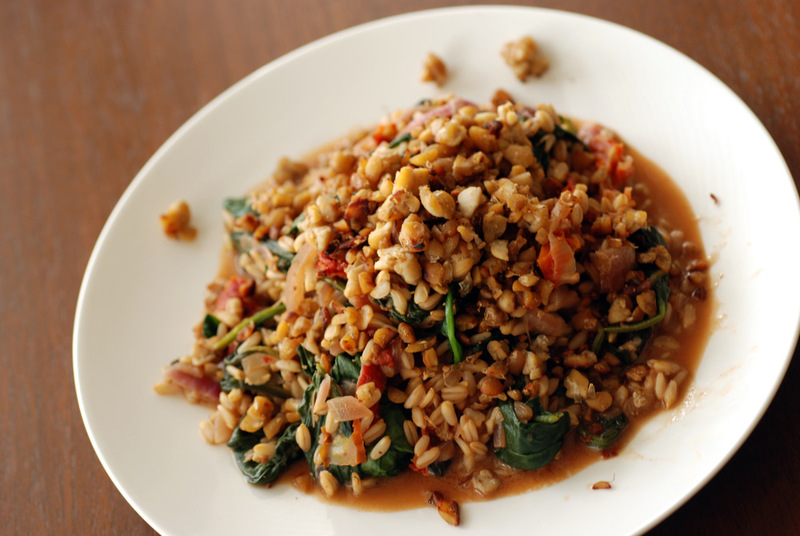 Since it has a few components, this is a dish that will dirty up a few pots but it is delicious and worth the effort. To simplify the recipe, you could skip the tempeh as it was good even without it, although it adds a flavourful protein component. This is my submission to this week’s Weekend Herb Blogging, hosted by Lucia, to this week’s Healthy Vegan Friday and to and to this month’s Bookmarked Recipes. The dehydrator and juicer are now out in full force. Carrots for juice and then the pulp was made into these lovely raw falafels. I know, I said I don’t like raw Mediterranean eats. While I like Middle Eastern foods, I don’t like falafels. However, I loved these raw carrot falafels. Probably because they don’t taste like real falafels. And they don’t use raw chickpeas, either. In any case, they taste great. Carrots (or carrot pulp) is combined with sesame seeds along with lemon juice, garlic, cilantro and green onions for a flavour punch. Dehydrate them for 4 hours and you’ve got some soft and moist falafels without the heaviness from typical deep-dried falafel balls. 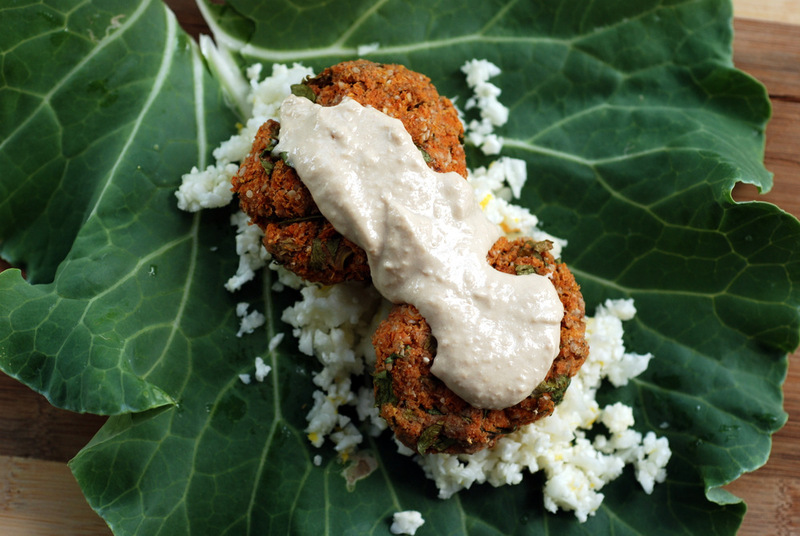 I combined the falafels with my favourite Middle Eastern-tahini dressing to date. Hummus-style with additional lemon juice, tamari and tahini. I originally used it in my Chickpea and Tofu Tahini Scramble but found the flavours mellowed after cooking on the stovetop. However, I stuck my finger in first to see how it tasted. I knew it would be a great dressing/dip and it did not disappoint. 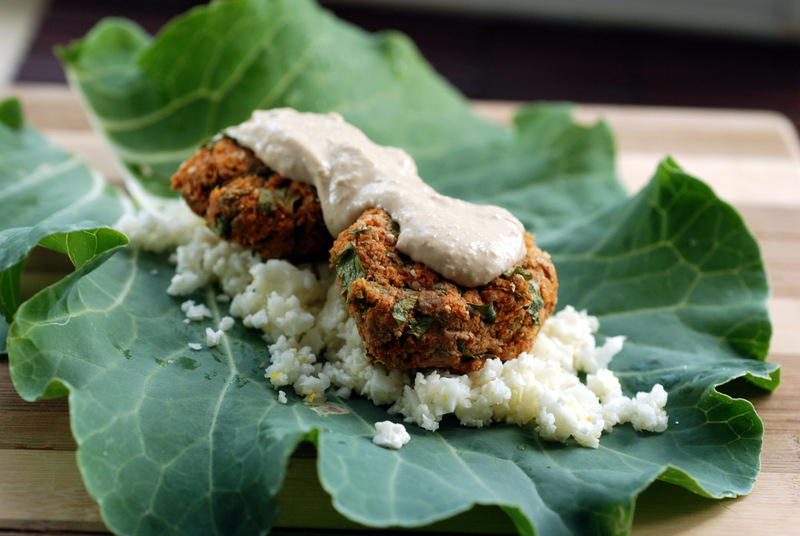 I originally served the falafels and dressing as a salad overtop greens, but they also went really well in a green wrap with a bed of raw cauliflower couscous. 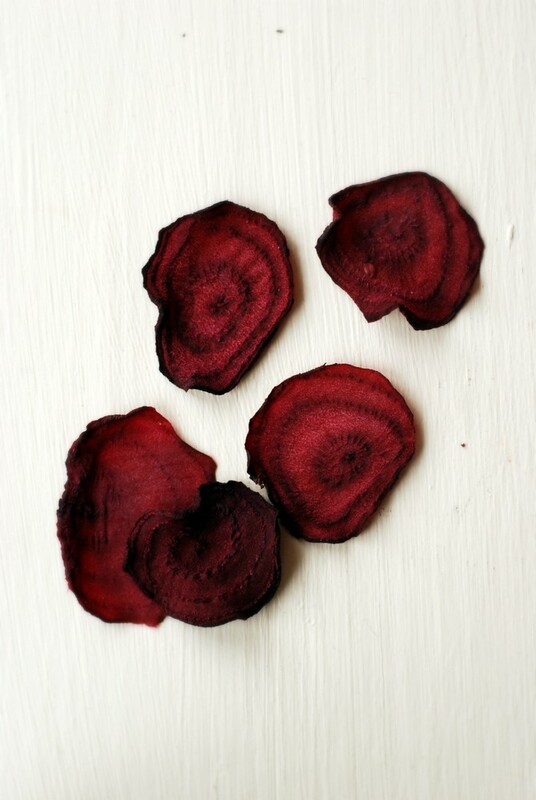 Don’t have a dehydrator? These could also be baked, according to Gena. 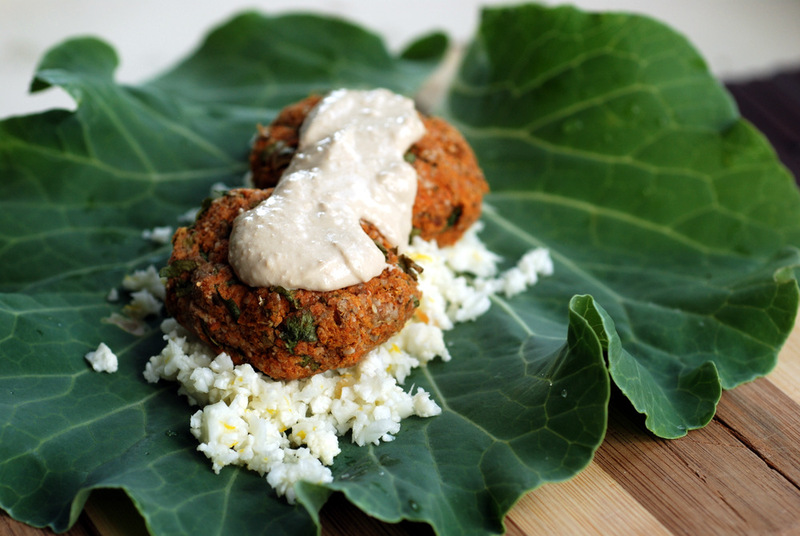 Want to try your hand at another lovely baked quinoa falafel? Try these! This is my submission to Deb for this week’s Souper Sundays and to this week’s Raw Food Thursday. I am currently on a mung bean kick. Lets just say they’ve been in my pantry for awhile. Two years, perhaps more. I made one meal with them initially that was a bit lackluster, so it has been difficult to give them another try. But, in my pantry clearing gusto, I tried them again. And again. And again. Yes, I have made them 3 times in the past 2 weeks. Now, I’m hooked. You see, I just needed the right recipe. Mung beans should be on your hitlist because they don’t need any soaking and cook up quickly, around 30-45 minutes. Even beans that are two years old. 🙂 My trick is to slightly overcook them. Here, I cooked them until they were creamy-soft, nearly exploding. Some of my earlier tries were more intact than this batch, but still cooked beyond a firm bean. If you keep it more firm, it has a very pronounced “bean” flavour. It mellows as it cooks further, which I prefer. So where did I get my mung bean recipe success? From Tess, of course. 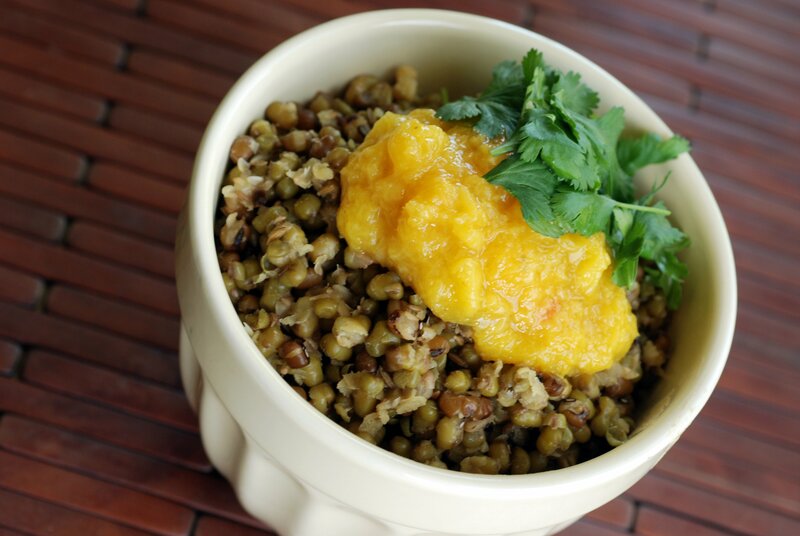 I made the Easy Indian Mung Beans from Radiant Health, Inner Wealth. Then I made her Mung Beans with a fabulous cilantro chutney from Get Waisted (more to share about that, in due time). For my third time, I put my own spin on it: I decided to use her base recipe for the mung beans and add a simple fresh mango chutney. 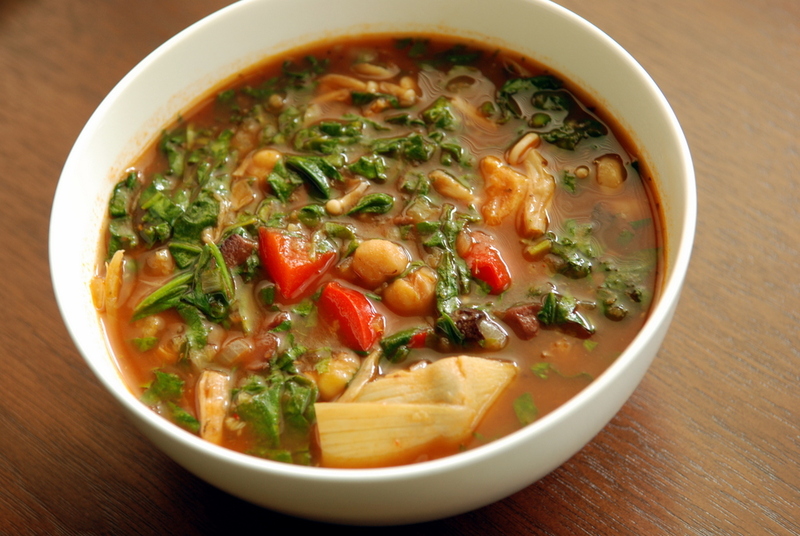 The mung beans were simmered with cumin and coriander until all the water is absorbed, then doused in fresh lemon juice. 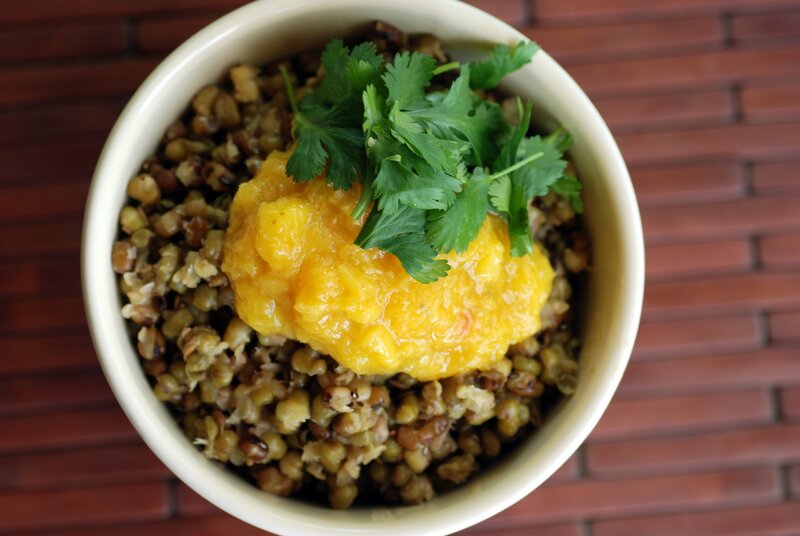 Mung beans are ok with just the spices, but much better with fresh citrus juice. Instead of a tarka, I wanted to highlight the mango chutney so I kept the beans simple. The chutney was simply a mix of mango, ginger, cumin and apple cider vinegar, but next to the mung beans, they were great. Have you tried mung beans? Any favourite recipes? My brother likes to make fun of my standard breakfasts: oatmeal + protein powder + spice/fruit + flax/chia. Not the oatmeal, the protein powder part. Why do I need that? That isn’t all natural. For me, it is one way to ensure I reach my daily protein needs and gives me a filling breakfast (oats alone do not do that). It is true: I eat things that have been processed. I can’t make everything from scratch and sometimes I think it is necessary to tap into the best parts of what a plant can give me. I am anti-white flour because flour has been stripped of its nutrients, but what if I told you I found a fortified wheat “flour”? One filled with 75% protein. It is called vital wheat gluten. You strip away everything but the protein. Wheat protein powder! Instead of adding it to smoothies, like my regular protein powder, I bake with this one. I have made seitan before. I liked these chorizo sausages, especially with cabbage, as well as Chinese Five-Spice Seitan with cabbage. I’ve also trying the boiling method to make seitan directly in a stew (the Iraqi eggplant stew was oh so good). However, always up for a new recipe, this time I tried a baked sausage. For some reason, I remembered seitan being a pain to make, with kneading and resting, etc. I wanted to see how a simpler recipe would compare. Just a bit of kneading, and then a simple bake. This one lacked chickpea flour and mashed beans (vital wheat gluten only) and used flavours from nutritional yeast, smoked paprika, mustard and tamari and was easy to make. 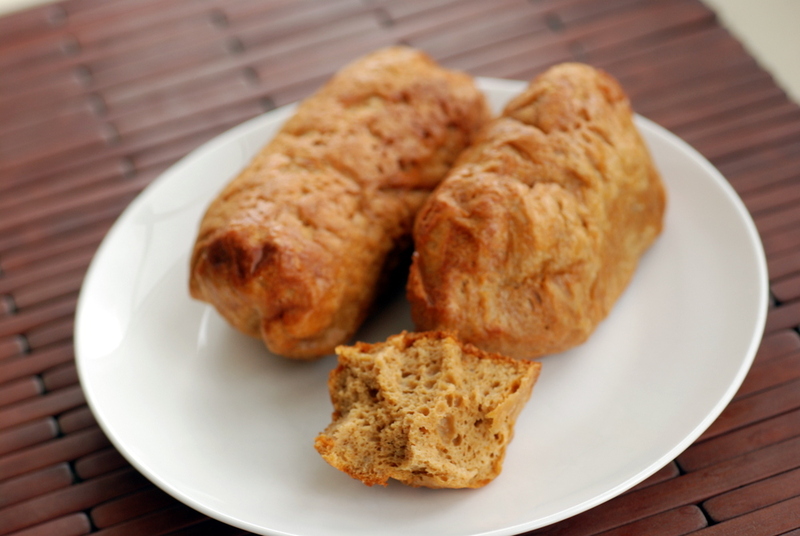 Seitan is also known as wheat meat. This recipe reminded me of that. It tasted more bread-like. I don’t think that’s how most seitan is supposed to be (maybe because I decreased the oil?) but I still thought it tasted good. And they were easy to make. Mix, knead, bake. I rechristened these as sausage buns because they are buns that taste like sausage, not because there is a sausage in the bun.. HA! Most recipes tell you to let your seitan cool and an overnight chill in the fridge is recommended to enhance their flavour. Well, I ate these puppies straight from the oven, unadorned, only cooled so that I could unwrap them without burning my fingers. Delicious. A warm bun. A (super) filling high-protein bun. (I am not joking, if you make this into 3 buns, each bun is 50g of protein and only 315 calories). And super filling. Bready and chewy with a nice flavour from the smoked paprika and nooch. I found them a bit salty, which may explain why I liked them so much, so next time I would suggest decreasing the salt and/or tamari and add to taste. 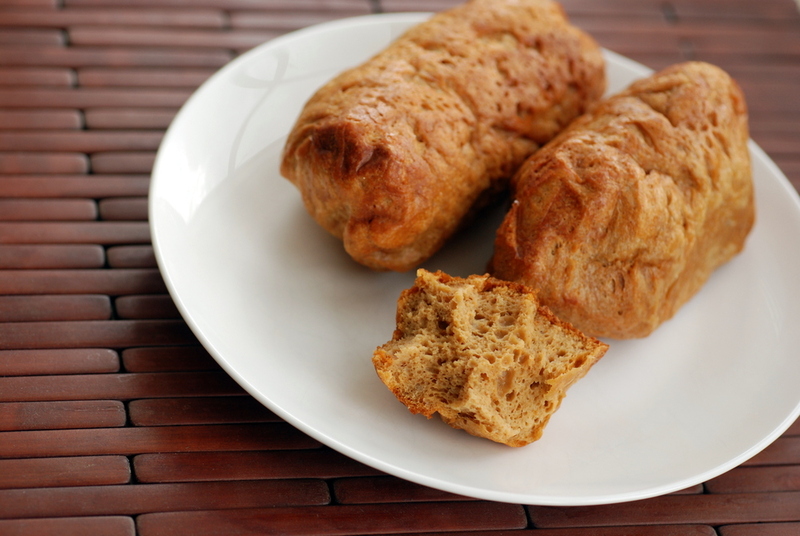 What are your thoughts on seitan? 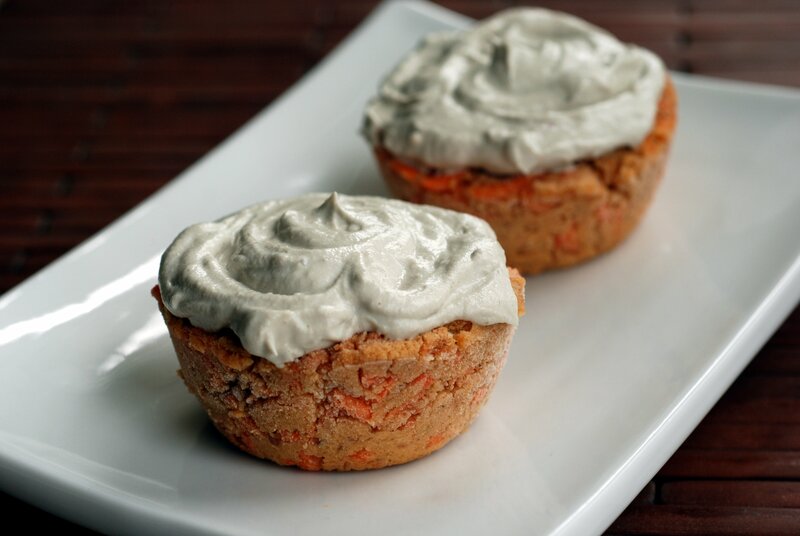 Not too popular with anyone on an anti-gluten diet, but if you are not gluten-sensitive, definitely give it a shot. This is my submission to this month’s Random Recipe for bread. That ice cream craving? Well, Rob had pity on me and picked up a pint (2 actually) for us to share. After building it up in my head, it was a bit lackluster. Not that I am complaining. Vegan ice cream just isn’t Haagen Dazs. Which is probably a good thing. This time, I wasn’t planning on making ice cream. I was making a version of my Almost Guiltless Chocolate Mousse Pie: an almost guiltless chocolate mint mousse, sans crust. Which I did, and it is very, very good. But then I put one tumbler in the freezer. Just in case. I think our freezer has some funky freezing cycle thing because even the ice cream from the store was rock solid after a night in our house. It was torture trying to scoop it out. Rob had the brilliant idea to let it thaw. I know, novel idea. But he suggested thawing it in the fridge. So, I came back in an hour and the ice cream was deliciously smooth and creamy. I decided to try that with my frozen mousse. It was a bona fide rock solid when I initially took it from the freezer. Then I popped it in the fridge. Waited 1-2 hours for it to thaw and then I scooped in. Glorious! Creamy chocolate mint. Melting in your mouth. Oh yes. I just have to plan for my ice cream cravings. Before you look at the recipe, I’ll have you know it was a pantry purge success. 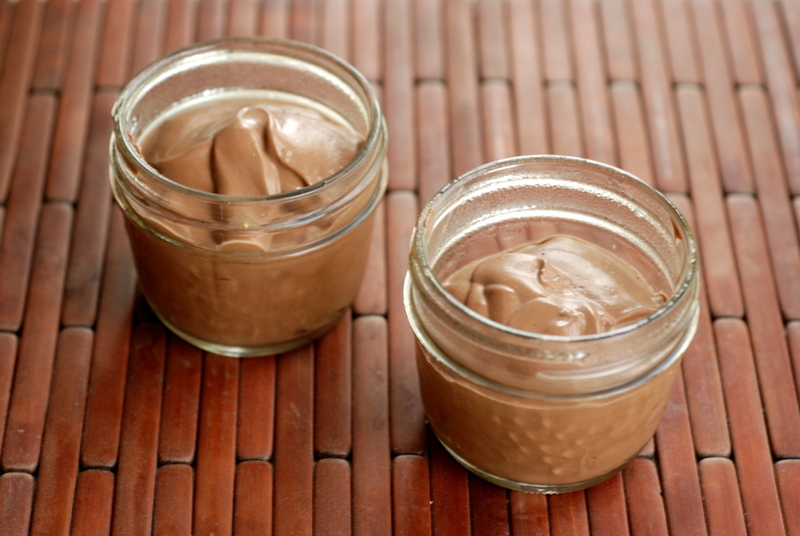 I know some people have had difficulties with the mousse setting with the original recipe but I have never had any problems. I have made it with soft, firm and extra-firm tofu (although always the silken aseptic tofu). I figured it was pretty flexible so I experimented. No chocolate chips here, I finally used up my unsweetened chocolate. The 100% chocolate that Rob bought for chocolate fondu once upon a time… and let me tell you, it is very bitter. 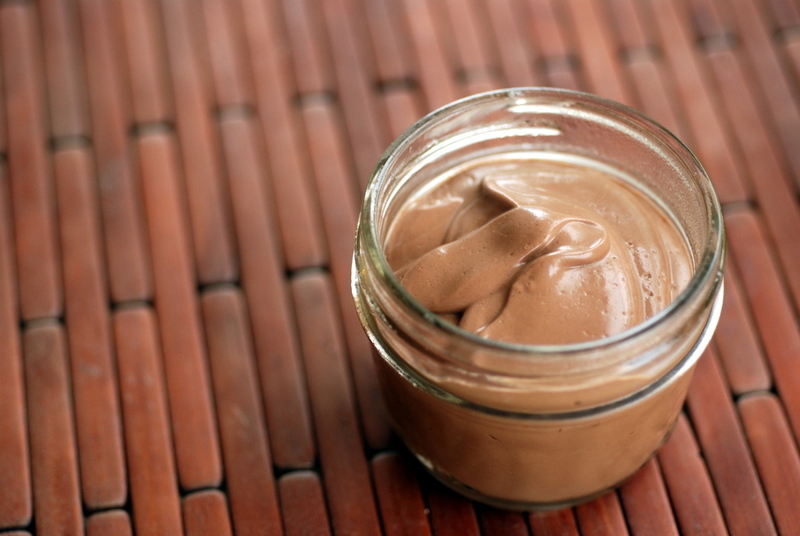 I also had some cacao butter which I supplemented with cocoa powder, which I figured was equivalent to chocolate. I ended up adding the sweetener to taste as I went along as well as the peppermint extract (Katie suggested 1/8 tsp, which barely registered on my tongue’s radar). This is minty but not that sweet. 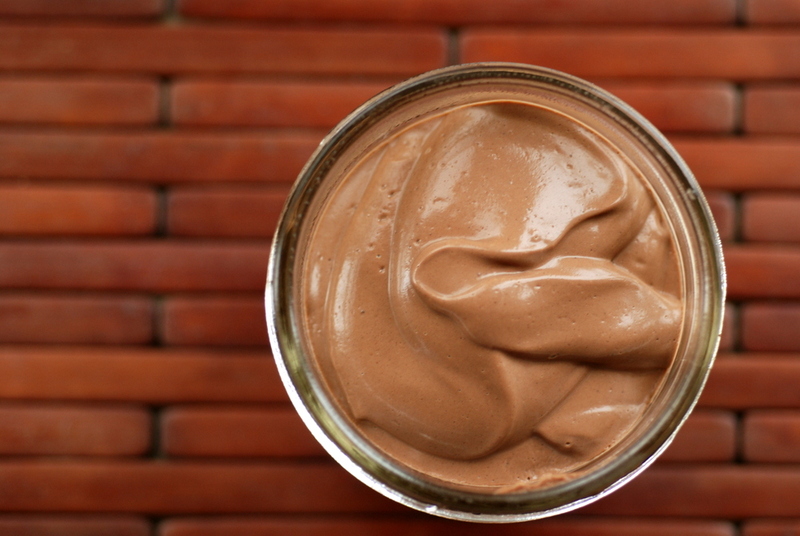 The cacao butter gave this a really nice mouth feel, both as a mousse and as an ice cream. This is how you know I am a noob with regards to Indian cuisine. Ever since besan chilla entered our lives, we have been enamoured by chickpea flour. I’ve used it in dairy-free vegan quiches, pakoras, malai koftas, and smeared inside a delicious collard roulade. Rob even used it to make cookie dough truffles to woo me. The entire time, we’ve called it beh-sahn. Like it was French. However, it turns out we’ve been wrong. It sounds just like “basin”. Bay-sin. That is only one thing I found out by watching some Indian cooking videos. I was trying to figure out how to make dosa but was distracted by other interesting recipes. So here I am with another besan recipe. 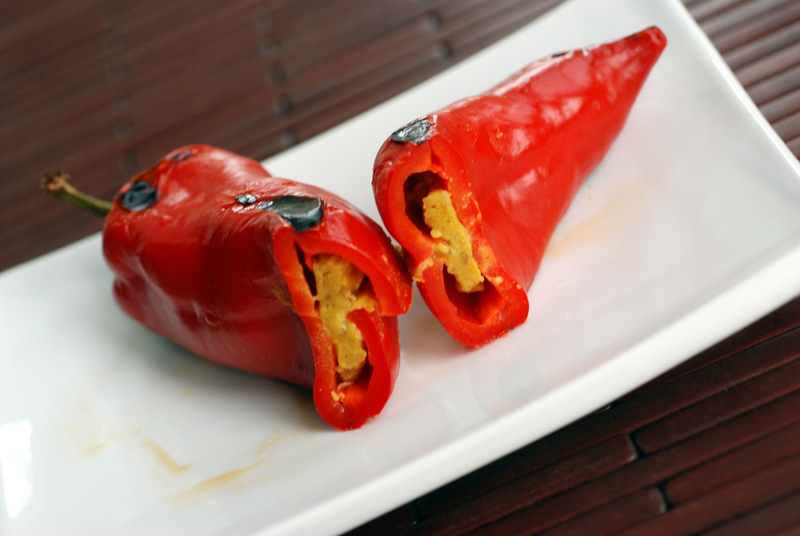 This time, I stuffed it into long red Sheppard peppers. 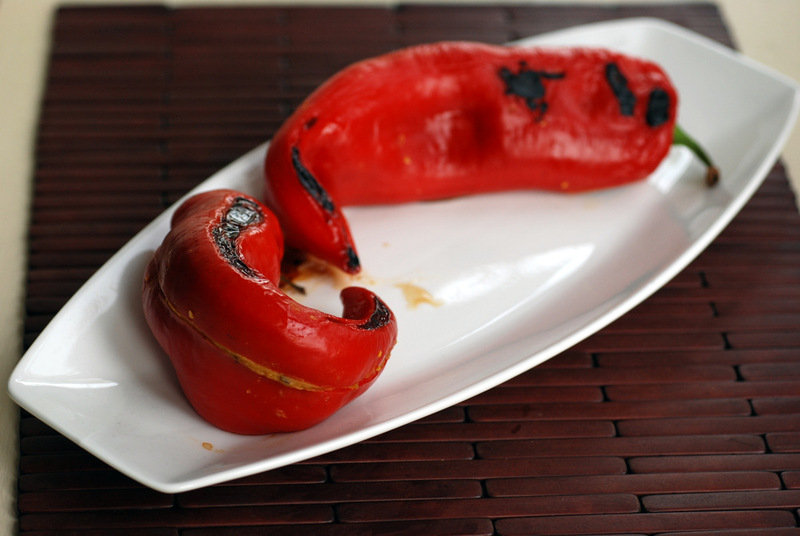 I’ve done stuffed peppers before, filled with bulgur, tomatoes, mushrooms and raisins, and always used the largest bell peppers I could find. The thicker the flesh, the better for keeping its shape after being roasted in the oven. But this time, I tortured myself. just kidding! 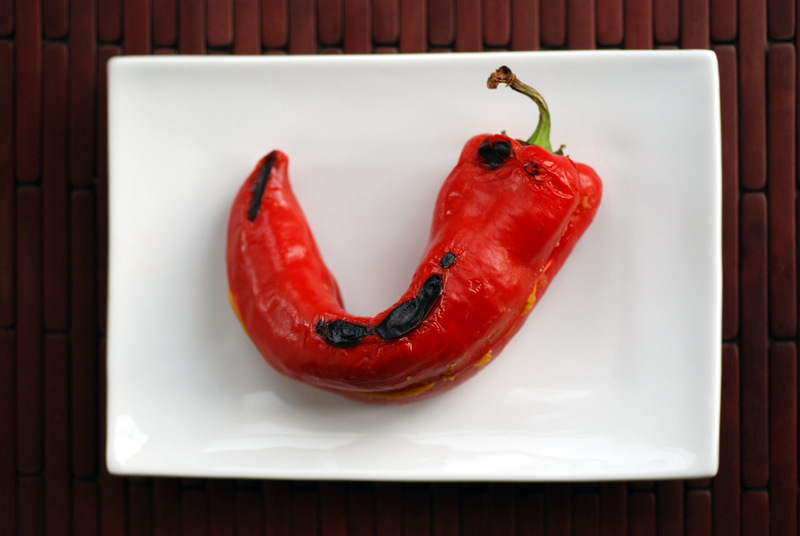 The long and slender red peppers were recently available and I grabbed as many as I could carry (a common sighting when red peppers go on sale). This time, I decided to fill them with a fragrant besan paste spiced with almonds, cumin, coriander and amchur. 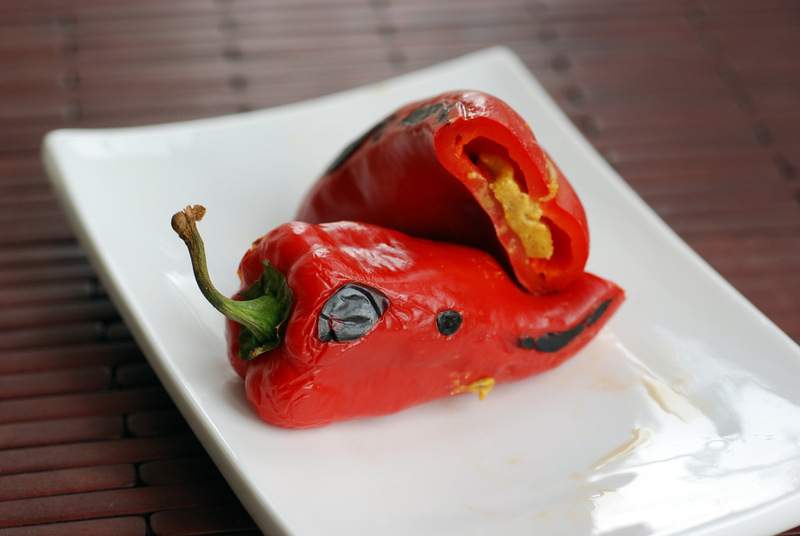 The hardest part was removing the seeds without cracking open the entire pepper, but most of the peppers have few seeds anyhow. Once you slide in the filling, you are laughing. Quicker than stuffed peppers, this was easy with the fast-cooking of the besan along with a simple pan-fry (with adjunct steaming) of the peppers. PS. 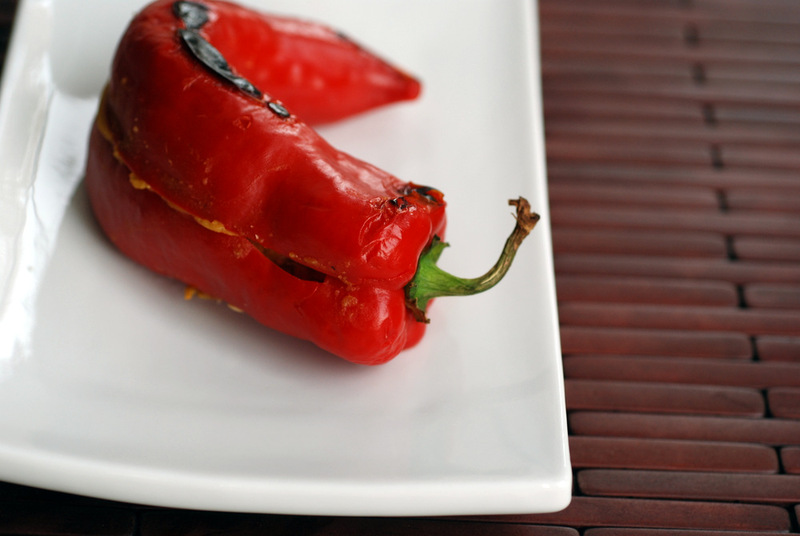 The original recipe suggested using banana peppers, but I like this version with the sweetness of the red pepper. Feel free to add more heat with more chile flakes, as this was not that hot. PPS. Am I alone? How do you pronounced besan? You know how bloggers tend to post holiday dishes before the actual holiday? Do you think they make the same dish for the real holiday? Or make something new? Me: a little from column A and a little from column B. Cooking for me, column B the majority of the time. For guests, perhaps some from column A. 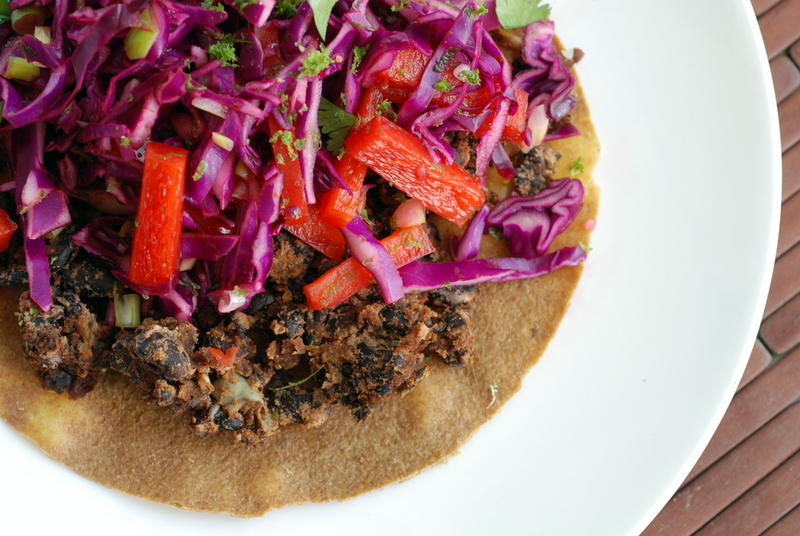 For Cinco de Mayo, I shared my Mexican Chili Salad Wraps the week before. Rob celebrated Cinco de Mayo with a lovely corn and avocado salsa and oodles of other Mexican treats. No salad wraps. Except that was on May 4. On May 5, Rob and I actually went out for Thai food to celebrate a friend’s birthday (they actually had a few vegan options -youpee!). But then, after seeing others share their Mexican eats, I had a craving for more Mexican. Post-Cinco. 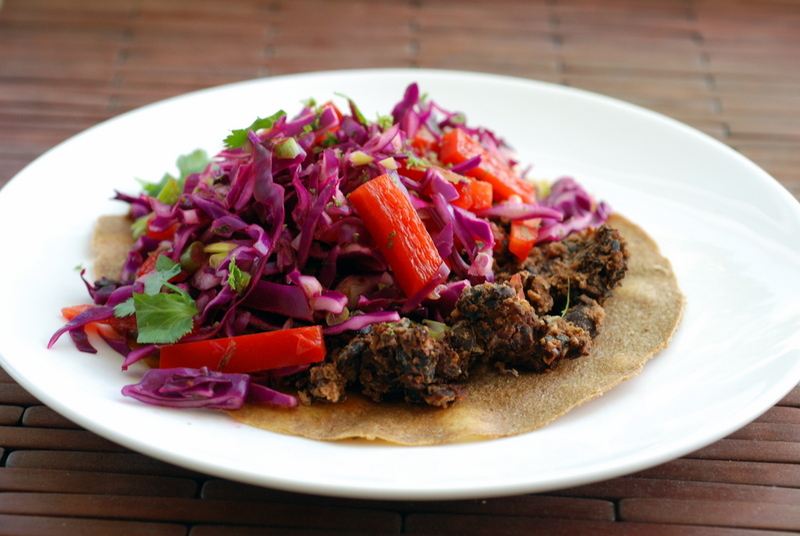 Flipping through Bittman’s latest cookbook, VB6: Vegan Before 6:00 (good review of the cookbook here), I knew exactly what I was drawn to: black bean tacos with a tangy cabbage slaw. I had my mango “taco” wraps ready to go. I love all things “tangy” especially if it means lots of citrus juice (lime!). And well, beans, oh yes. I have used black beans in many Mexican dishes, but I was intrigued by Bittman’s suggestion to mash them, spice them (lots of garlic! ), and then roast them. It worked really well. While the beans crisped up in the oven, I made the beautiful cabbage slaw. It came together seamlessly. 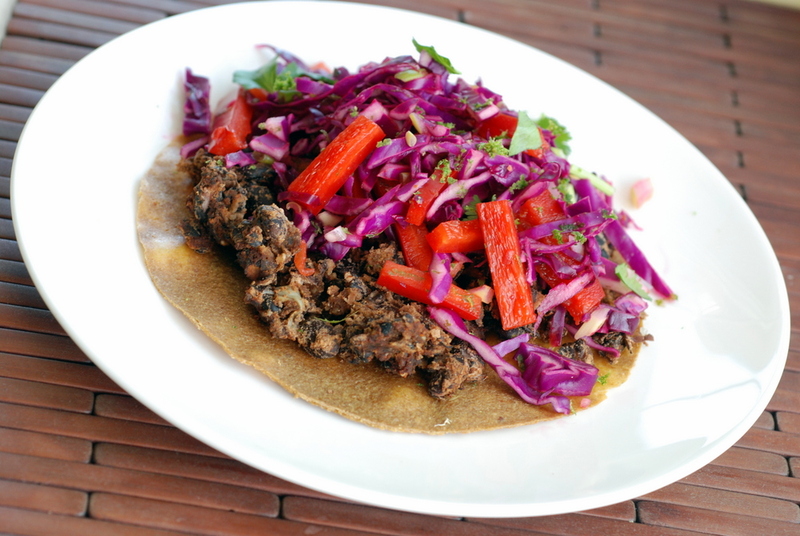 Call them tostadas with crispy flatbreads or roll them into tacos. My mango wraps were crispy but if you let the beans sit on top of the wraps for a while, the wraps absorb some of the moistness and became pliable again. Because they were very thin, they were very delicate and made a big delicious mess. A beautiful delicious mess. I can’t remember the last time I bought red cabbage, but gosh, isn’t it gorgeous? 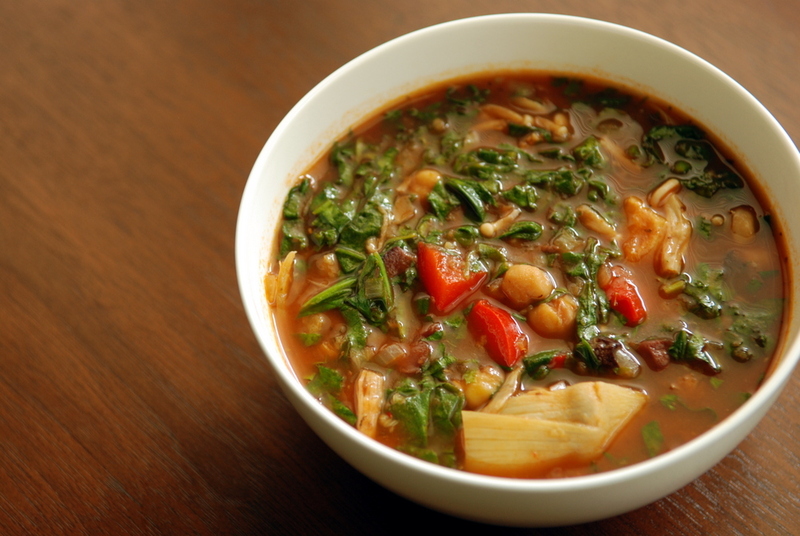 This is my submission to Deb for this week’s Souper Sundays and this week’s Weekend Wellness.. Eating through my pantry has some benefits. I find foods I had forgotten. My Mom remembers. My Mom is like an elephant: she never forgets. What about all your soba noodles, Janet? Oh yeah…. all those noodles I bought after I came back from Japan. Just like when I drank my way through a library of non-dairy milks to figure out which I liked the most, I bought a wide variety of soba noodles to pinpoint the perfect pasta. However, I shortly became disillusioned when I figured out that most soba noodles actually contain very little buckwheat. The noodles are still mostly made from white flour. Lesson: Read the package before you buy them. I eventually found 100% buckwheat noodles but scoffed at the price. So I put them back. I eventually found them again, but this time it was a different brand. And they were a much better price. So I bought some and then proceded to forget I had them. 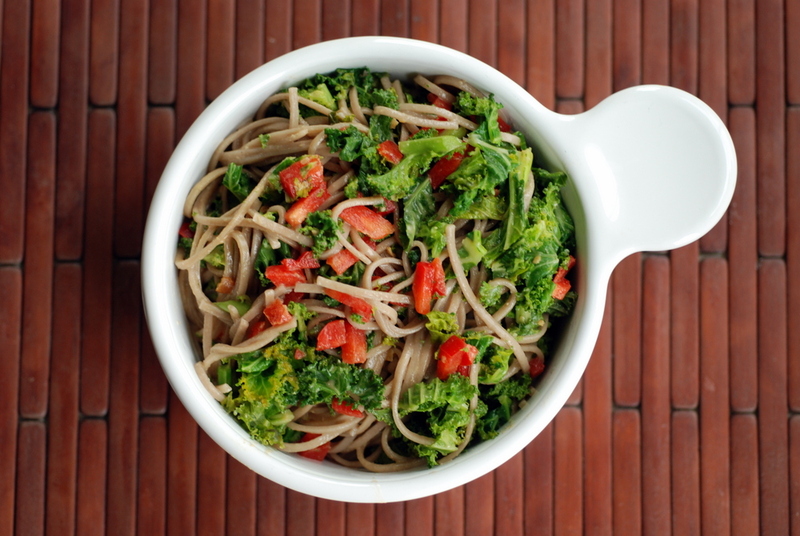 Definitely great for a change, the buckwheat noodles are slightly nutty and cook in 4 minutes. Here, I paired them with kale and red pepper and a simple sesame-miso sauce. A simple sauce, not due to a limited ingredient list. Rather because the ratio is almost all 1:1:1:1:1:2 (the original recipe was 1:1 for all ingredients but I thought it needed a bigger dose of lemon juice). 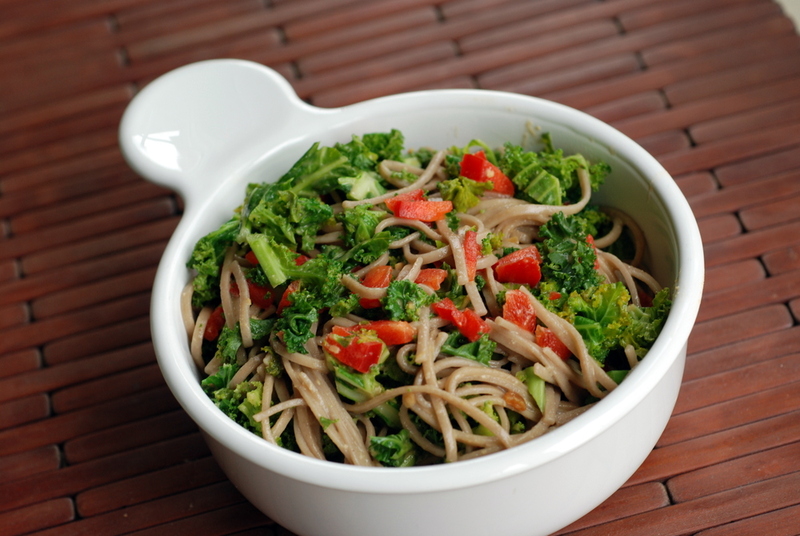 The sauce is creamy, salty and tangy and coated the noodles and veggies well. I used some of the pasta water to thin the sauce but use as much as you like. This is my submission to this week’s Weekend Wellness. Enough of the doom-and-gloom? Bring on more tasty salads! It has been a while since I proclaimed to make the best salad ever. As I continue to make more and more salads, I have higher salad expectations. 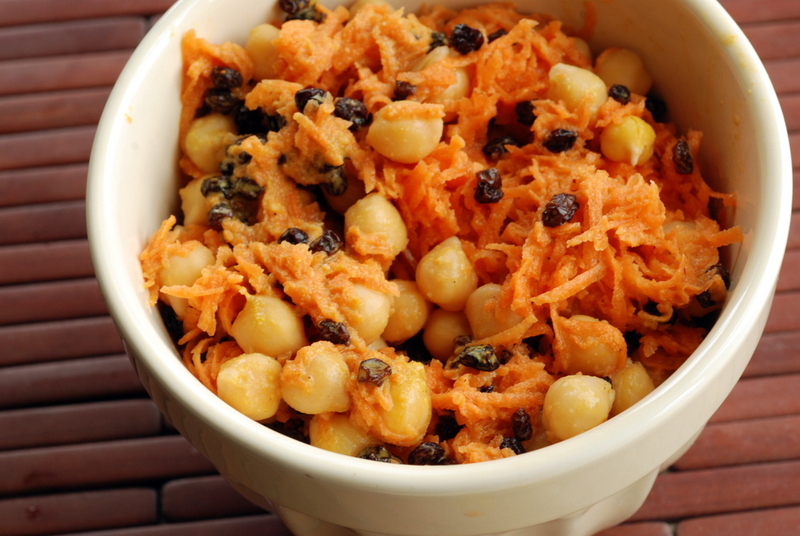 And now, I present to you: The Best Chickpea Salad Ever. I eat chickpeas a lot, but I don’t usually eat them as the main salad component. I would have a hard time thinking of a good cold chickpea-based salad off the top of my head. I don’t like chickpeas with vinaigrettes, preferring them pan–roasted or smothered in thick sauces. However, as soon as we tasted this salad, both Rob and I were smitten. 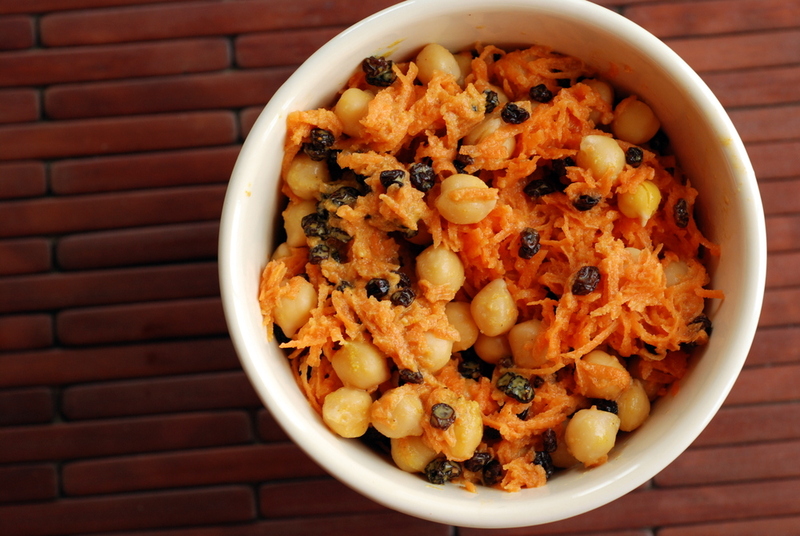 This is a perfect chickpea salad, combining the tang I enjoy from vinaigrettes with a light creaminess from tahini along with a sweet spice from curry powder, contrasted with sweet currants and carrots. 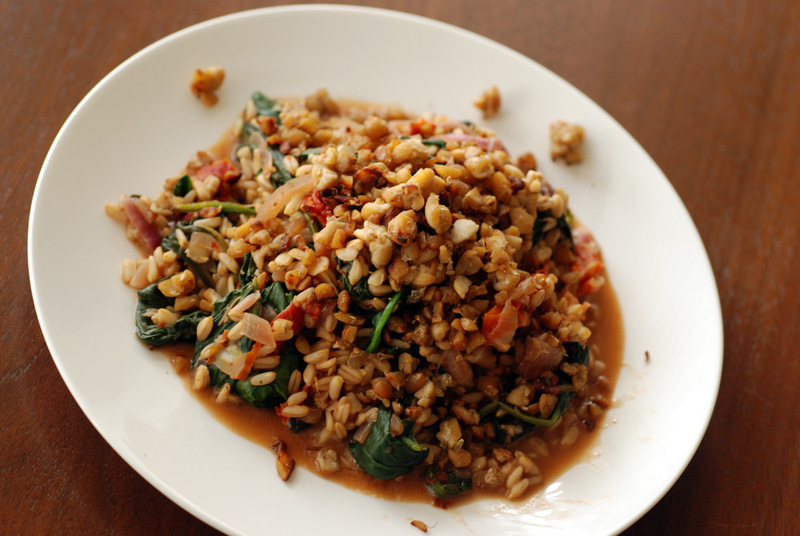 It is quite similar to my favourite lentil salad, except I am using a pre-made curry powder. Granted, the success of your salad will depend entirely on the curry powder you use. I am very partial to Penzey’s sweet blend which is fragrant and flavourful without being too spicy or earthy. It is highlighted perfectly with the touch of maple syrup. I had this recipe bookmarked for the longest time and once I made it, I was sad I hadn’t made it earlier. Do not delay in trying it out. 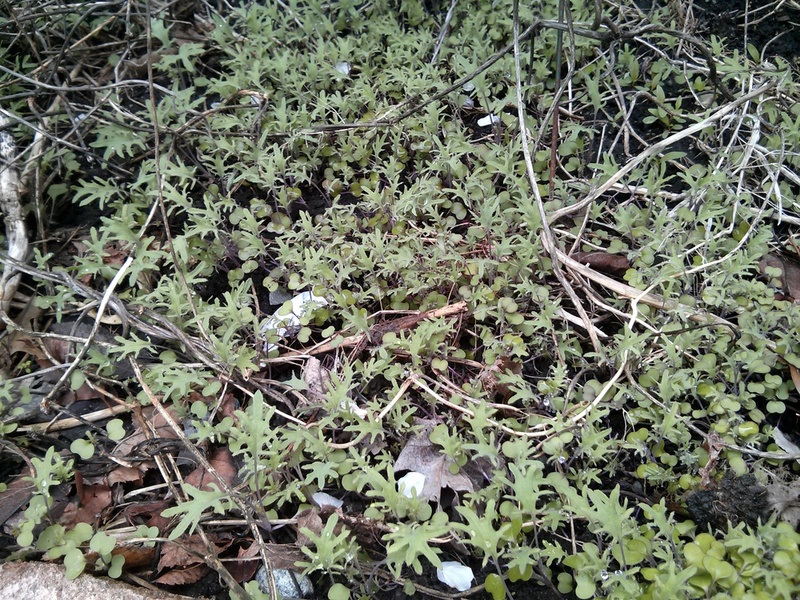 It will make a great potluck salad this summer. 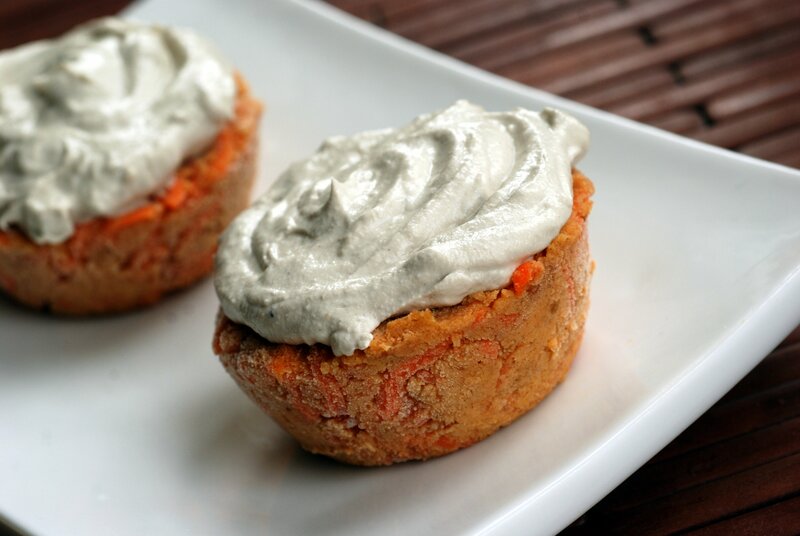 I adore Gena’s blog Choosing Raw, where she shares gorgeous food that is still down-to-earth, delicious and easy. I have made many of her recipes (there are too many to count, ok plus these, too), and I have bookmarked many more to try. So around the time of my food funk and arugula excess, I was propelled to the kitchen with the promise of beautiful food. 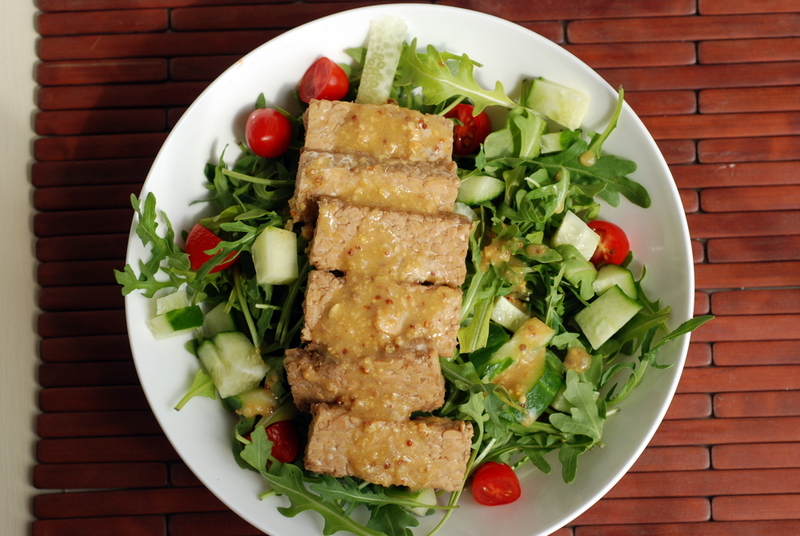 Gena shared a drop-dead gorgeous salad with mizuna and tempeh with a mustard-miso dressing. I had enough gusto to make the dressing and bake some tempeh. 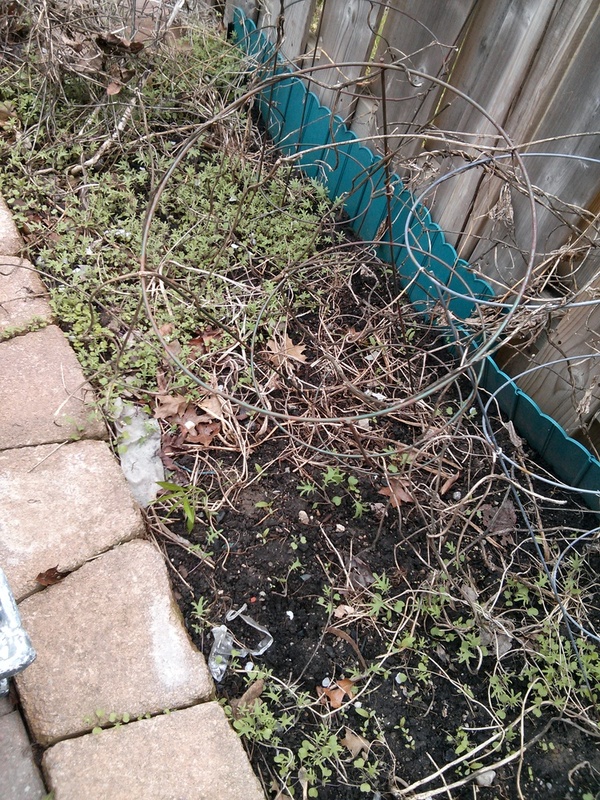 Less inclination to go to the store to buy cabbage, snow peas and cilantro. So, I tossed it with the arugula and some cherry tomatoes and cucumber. It did not matter because the star of this salad was the dressing. Oh my gosh, it was so good. A hefty dose of miso, a strong background of mustard with a sweet sourness from Meyer lemons and maple syrup, this dressing had a lot of bold flavours that became downright addictive. 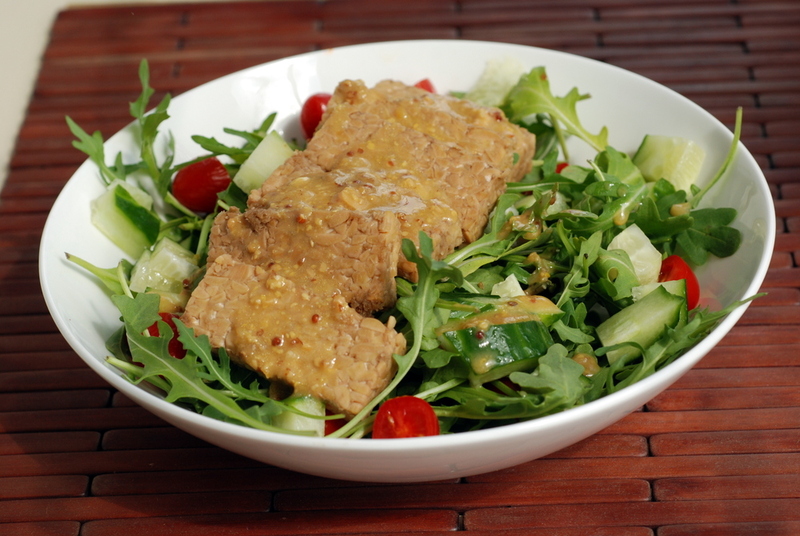 The tempeh was very basic and could be used for most meal salads since it was not strongly flavoured. By the time I finally got around to acquiring some cabbage, I think I hate half the cabbage with this dressing alone. I just kept returning for more delicious salad. 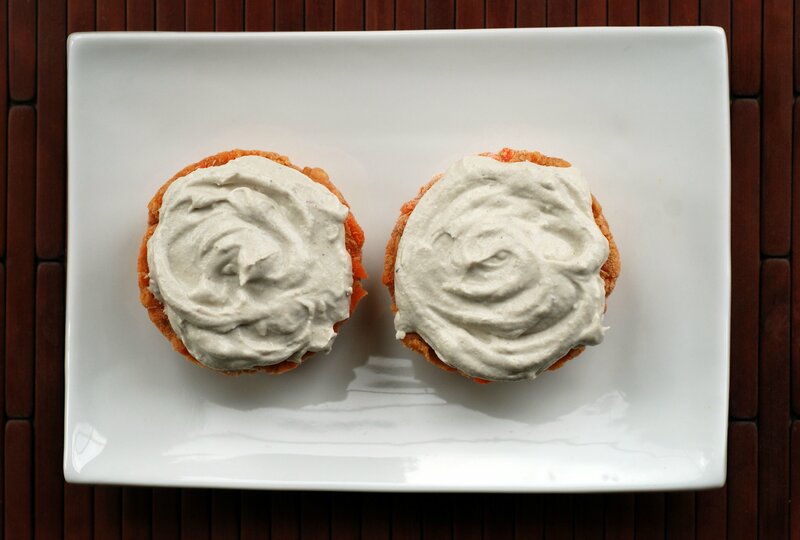 Have you tried Gena’s recipes? What are your favourites?